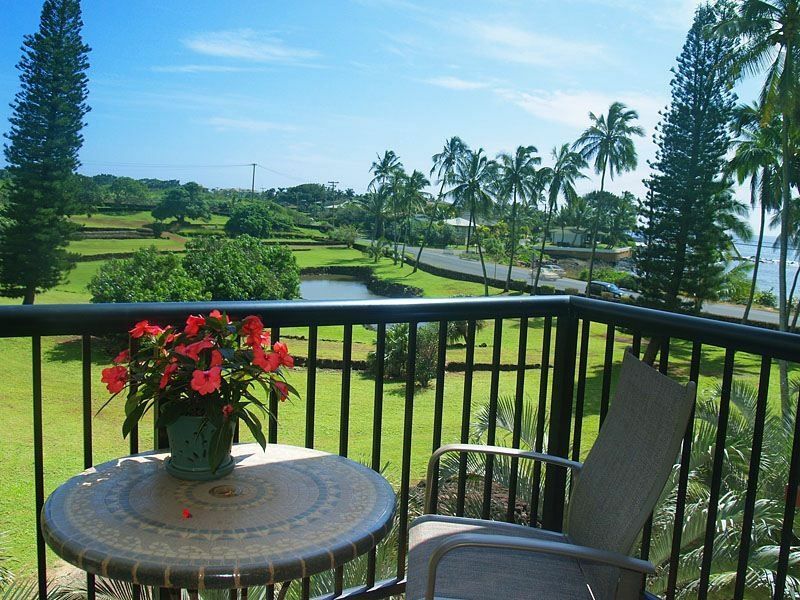 Located adjacent to historic Prince Kuhio Park, with stunning ocean and sweeping mountain views, this condo is directly across from the islands best snorkeling beaches where sea turtles and tropical fish abound. The island's best restaurant is located across the street. a bloom with orchids, plumeria, and 20+ varieties of palm trees. Enjoy the koi pond, pool, outdoor barbecue, and reserved parking. A variety of golf experiences are nearby. Everything I needed, clean condo. Loved the location close to the beach. Loved the extras, beach chairs, snorkeling gear etc., The only downside is outdated furniture and decor. Comfortable apartment in a nice location. Spacious apartment with all the amenities. Beautiful view of the sunrises from the bedroom. Thank you from all of us at Poipu Connection Realty LLC. We hope to have the pleasure of hosting you again in the near future. The one bedroom condo was clean and comfortable with a beautiful view of the ocean. We truly enjoyed the condo, it had many amenities such as a cooler, beach chairs, bodyboards, snorkeling gear, that made our stay even more inviting. We appreciate all of the cookware, cooking spices, and the different sizes of plastic containers for leftovers. It was a full kitchen of everything you would need.. It was so nice to have a washer and dryer. Overall a great location, I would highly recommend staying and would go back in a heartbeat. The view shown is a veranda off the bedroom. Not from the living area. Older style unit in need of an upgrade. Kitchen is cluttered, counted over 40 glasses before giving up. No kitchen cupboard empty to unpack our grocerys. Also unit is on 3rd floor - and no lift for heavy cases. Best smirking in Kauai right in your backyard. Condo was nice and peaceful. Condo is peaceful and quiet. It took us a while to get in because the lockbox with the key wasn’t working but a friendly neighbor came to the rescue. Condo is pretty, nice birds and tradewinds. Aloha and thank you for choosing Poipu Connection Realty LLC. to book your Kauai vacation. Valerie you and your party are ideal guest. You were clean, quiet and courteous to the neighbors.You took care of our condo as if it were your own. We could not ask for better guest. We at Poipu Connection Realty would be more than delighted to host you again in the future!